Richard Cervantes is making a name for himself at Texas A&M University-Kingsville, and he’s on a serious roll this year. The Sharyland High graduate broke two school records while competing at the Texas Relays last weekend in Austin. 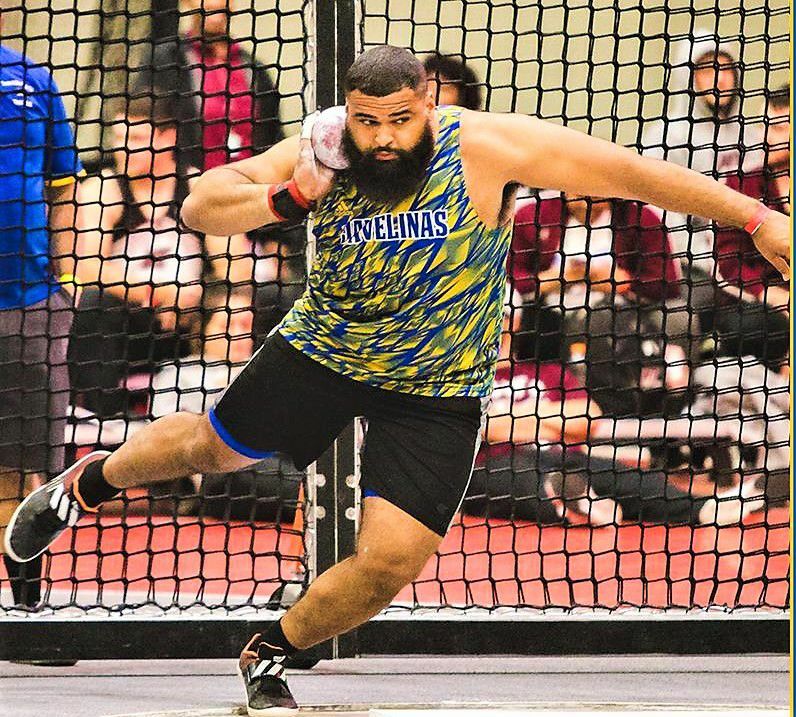 The redshirt junior’s record-breaking shut put throw of 61 feet, 9.5 inches on Saturday snapped Javelinas Hall of Famer and former longtime NFL lineman Roberto Garza’s previous mark. The 6-foot-3, 310-pound Cervantes beat Garza’s record by a little more than a foot and took home a bronze medal in the shot put, earning his second NCAA automatic qualifying mark in as many days. The 61-9.5 throw was a personal outdoor best for Cervantes, and he did it against top Division I competition, besting throwers from schools like Texas, Oklahoma, TCU and Houston. UH’s Felipe Valencia, a junior from La Joya Palmview, finished just behind Cervantes in fourth place. On Friday, Cervantes broke another school record at the Texas Relays on his way to claiming fourth place in the discus competition with a throw of 192-8.25. The mark was also an outdoor personal best. A few weeks ago, the Lone Star Conference named Cervantes the Indoor Field Athlete of the Year after he placed third in the NCAA Division II Indoor Championships and earned All-America status. As a senior at Sharyland in 2014, he qualified for state in the shot put and discus and finished fourth and ninth, respectively. The University of Houston’s Nora Monie must have taken her offseason seriously. 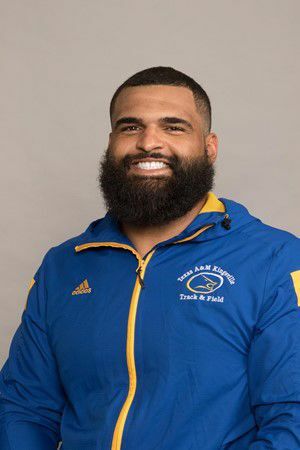 The Sharyland Pioneer alum, who lists powerlifting as a hobby, threw an outdoor personal-best 50-0.75 in the shot put at the Texas Relays last weekend. The UH junior’s heave earned a first-place finish in the B section division and would have been good enough for fifth in the A section. Monie’s performance marked a 6-foot improvement over her best throw last year. The former Class 5A discus state champ also claimed her first gold medal at the Texas Relays by winning the B section discus with a throw of 170-3.75. Again, about 6 feet better than her best outdoor toss in 2017. Karolina Rodriguez is doing it all for the St. Edward’s Hilltoppers softball team. The sophomore leads St. Edward’s in nearly every offensive statistical category, including batting average (.345), hits (30) RBIs (14) home runs (5) and slugging percentage (.575). She also plays multiple infield positions and some designated hitter. The Hilltoppers are struggling this season (3-31), but the Division II program might be in an even worse position if not for the 5-foot-5 Rodriguez. The McAllen Rowe product is also vastly improved from last season, when as a freshman she hit just .214. 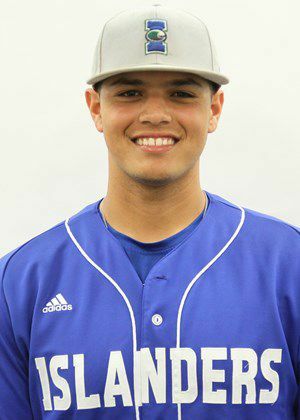 Rodriguez, a former District MVP and first-team All-Valley selection, has made the Heartland Conference President’s Honor Roll twice in the last year for having at least a 3.5 GPA in a semester. La Joya Palmview product Leonel Perez just may be Texas A&M-Corpus Christi’s ace on the mound. The 6-foot-1 right-hander’s 4-1 record is the Islanders’ best, and his measly 1.25 ERA is second lowest on the team. Perez is a freshman, and the Islanders are a Division I school in the Southland Conference. Perez had stellar four-year varsity career for the Lobos, finishing with a .442 batting average and a 23-6 record as a pitcher. For Texas A&M Corpus Christi (16-13 overall), he’s not seeing much action in the infield or at the plate. But that’s not a bad thing. Perez has pitched in six games, starting three, and has struck out 23 and walked seven with a .099 opponents’ batting average through 21 innings. 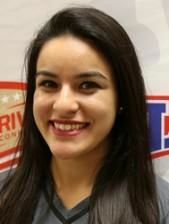 Edinburg North grad Jackie Longoria earned her first collegiate win recently, tossing her first complete game to help the NAIA University of Houston-Victoria Jaguars complete a three-game sweep over Texas College. The Jaguars are 14-12 overall and 7-5 during the conference season, including three straight wins. Longoria, a freshman, allowed just one unearned run on three hits and no walks against four strikeouts in five innings. The former All-Area selection and district MVP also helped herself, going 2 for 3 at the plate with an RBI and a run scored. On the season, Longoria is 1-0 with a 0.88 ERA in two starts. The 5-foot-2 pitcher has seen action in 10 games and is batting .286 in 14 at-bats.